Find the temples in hampi & get more information on famous & tourism temples in hampi. Also find out the Location, Address, Facts, attractions, weather & How to reach. 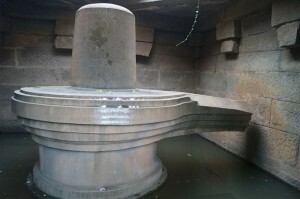 Chandikesvara Temple in Hampi is a famous temple dedicated to Lord Vishnu. 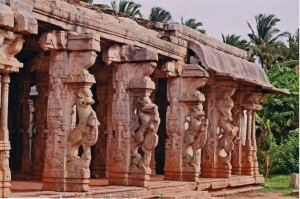 It is famous for its carved pillars and is one of the main attractions of Hampi. 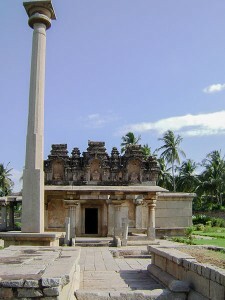 Ganagitti Temple in Hampi is a Jain temple. 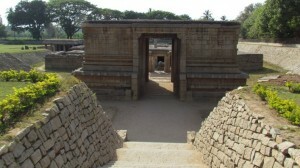 It was constructed during the early days of the Vijayanagara Empire. It is a well-known tourist destination. Pattabhirama Temple in Hampi is known for its exceptional architecture. The temple has lovely pillars and a large hall. The temple is devoted to Lord Rama. Hampi is one of the destinations that never stop to fascinate tourists. Read on to know more about local sightseeing in Hampi, hotels nearby & how to reach. 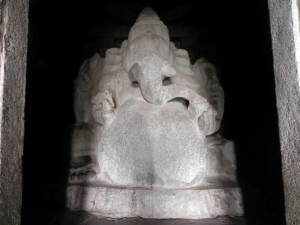 Kadalekalu Ganesha is one of the largest statues in Hampi. 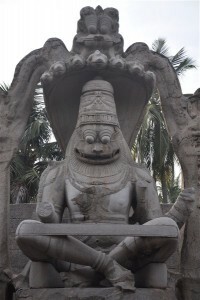 The temple housing the huge statue has stone pillars with carved mythical characters and themes. Hazara Rama Temple in Hampi has numerous panels with scenes from Ramayana carved in stone. The temple is an excellent example of master craftsmanship.